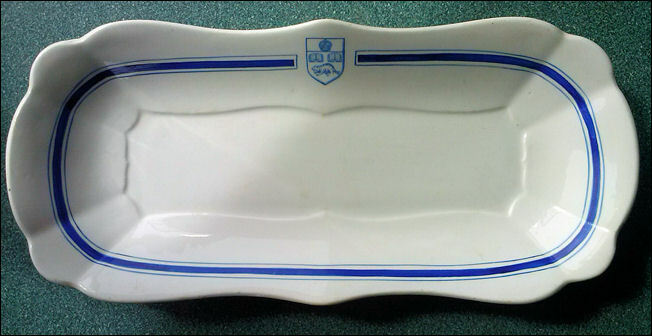 This is a neat little piece which appears to have been a brush holder due to the holes in the bottom of the top section which then spill out to the hole in the side. 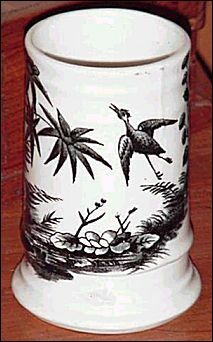 The black decoration against the ivory is a fabulous with the crane or heron. 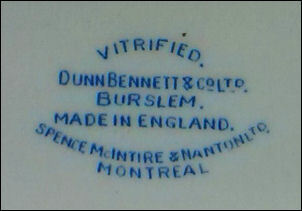 Made by Dunn, Bennett & Company and is earthenware - made from 1875-1907. 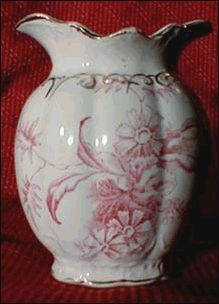 Approximately 4 1/2 inches in height with a diameter on the bottom of just a little over 3 inches. 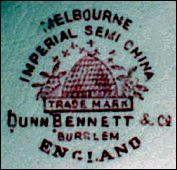 This mark, D.B. 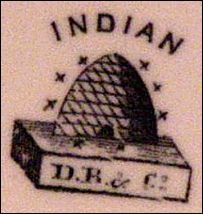 & Co. with a beehive, represents Dunn Bennett and Company of Staffordshire. 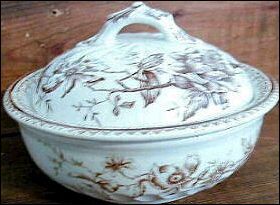 It is an early 1900s Peony pattern ironstone bowl with a lid and a perforated liner. 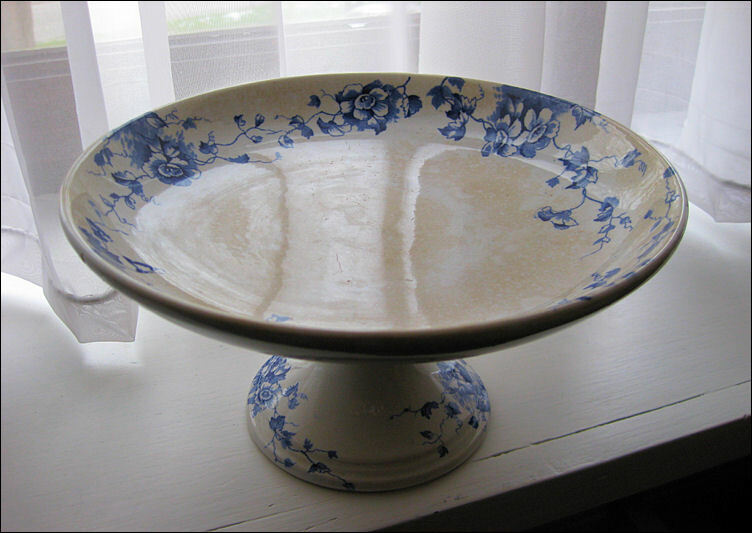 The bowl measures 5 1/8" in diameter. 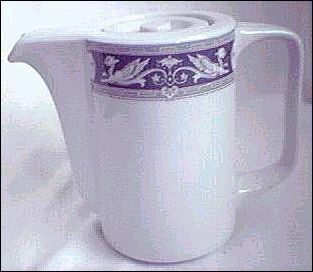 The liner is 5 1/2" in diameter and it is approximately 3 1/2" tall to the top of the lid.